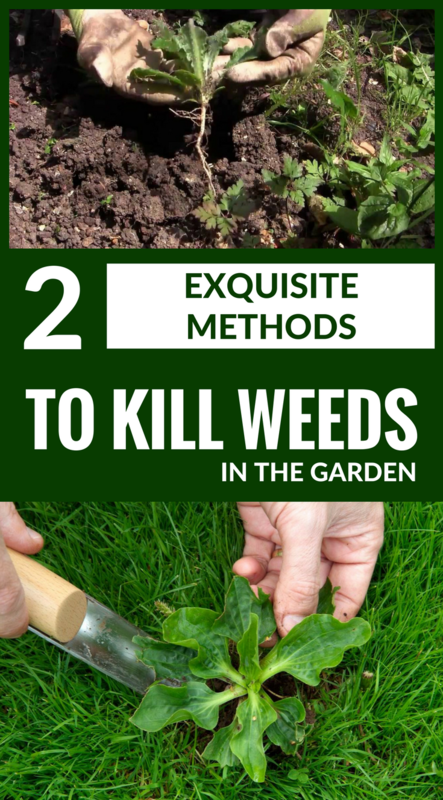 Getting rid of weeds for good is basically impossible, but keeping them under control is the most realistic solution. The action plan should be “tailored“ to the type of weed – annual or perennial – and the method you want to use: mechanical or chemical. It consists in getting rid of the weeds by removing them from the ground by hand or specialized tools, also known as the ecological method, as it doesn’t damage the micro system of the garden. The chemical method involves in application of various substances, from vinegar and kitchen salt, to the most powerful ones, which are only marketed by phytosanitary pharmacies as herbicides. It is advisable to use this method only if the first one isn’t effective or the results aren’t the ones you expected. You must know that annual weeds grow from seed, bloom, they make seed in turn, and then die. That’s why, to stun them, it’s enough to cut or bury them before they bloom, stopping their natural cycle and preventing them from multiplying. Leafy leaves can be added to the compost. Instead, with perennial weeds things are not as easy as it seems; where you cut one will arise ten instead. And that’s just because they have perennial, pervasive ground roots that will produce new and new shells. For this reason you need to remove them from the ground with the whole root, any corner of the root will produce a new plant.